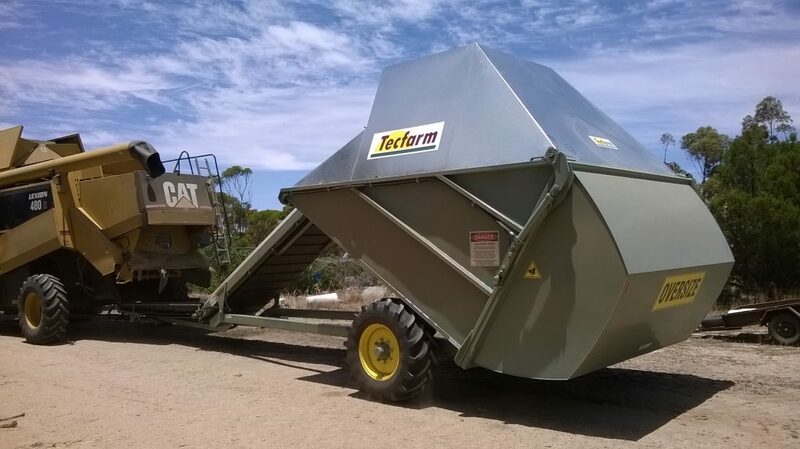 Tecfarm Chaff Carts’ remain in strong demand. They are simple and reliable. But their appeal means early ordering is vital to ensure a secure delivery time and the best possible pricing. Tecfarm continues to provide industry leading machines to assist in the Harvest Weed Seed Control battle. and the CT30 and CT40 (30 or 40 cu/m) for controlled traffic applications. 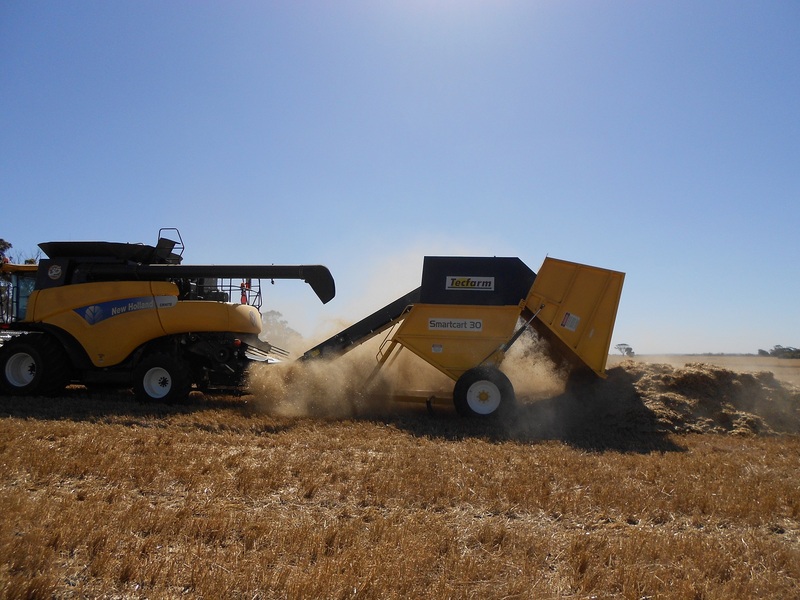 A good Chaff Cart is a powerful tool to complement your chemical rotation plan and for mixed livestock/crop farms the benefits of a conveniently placed summer feed reserve is a huge bonus. Give us a call soon if thinking of a cart for next season with your preferred delivery time assured. A small deposit will secure a build slot and means you have access to one of the best non-chemical weed control and summer feed systems available. Talk to Matt: 0447 180 958. or Tom: 0428 611 309 to discuss any queries you may have.